This study aimed at identifying key factors affecting SME participation in direct export and international production networks (IPNs), both globally and in Asia and the Pacific. A global dataset of firm-level data from developing countries was analyzed to identify the main obstacles to establishment and operation of direct and indirect small and medium size exporters. Logit models of SME export and IPN participation revealed the importance of several trade facilitation and related factors. The importance of modern information technology and international quality certification appear to be particularly crucial to participation in IPNs with SMEs using both at least 13% more likely to be involved in such networks. Exporting SMEs both globally as well as in the Asia-pacific region reported access to finance as the key obstacle to their business operations. Almost 60% of Asia-Pacific exporting SMEs rely exclusively on internal financing, while only 40% do so globally. 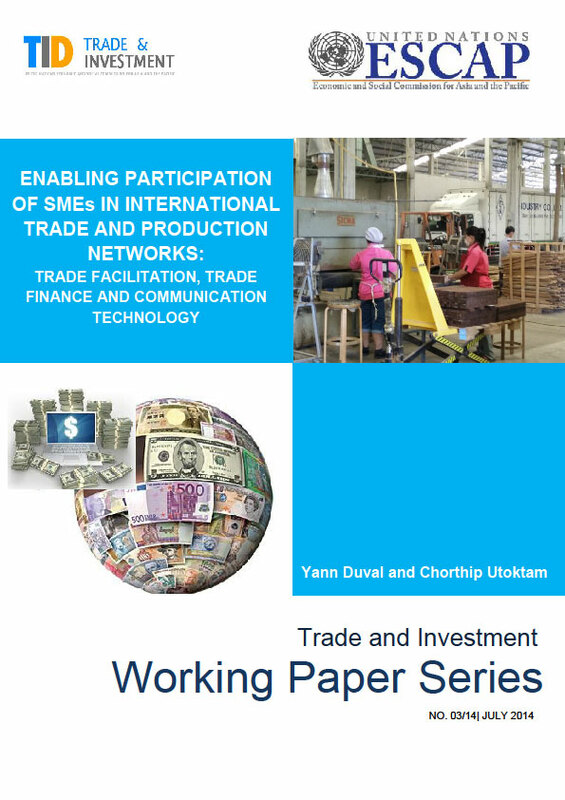 Access to a variety of external trade finance sources was found to be important to boost SME export participation, with bank financing and supplier credit found to increase likelihood of SME participation in both direct export and IPNs most. The results particularly highlighted the importance of supply chain financing to facilitate direct export participation of Asia-Pacific SMEs. Comparing the marginal effects of various factors on SMEs and large enterprises, a reduction in customs and trade clearance times was also found to increase SMEs likelihood of participation in export or IPNs relatively more than that of larger enterprises.